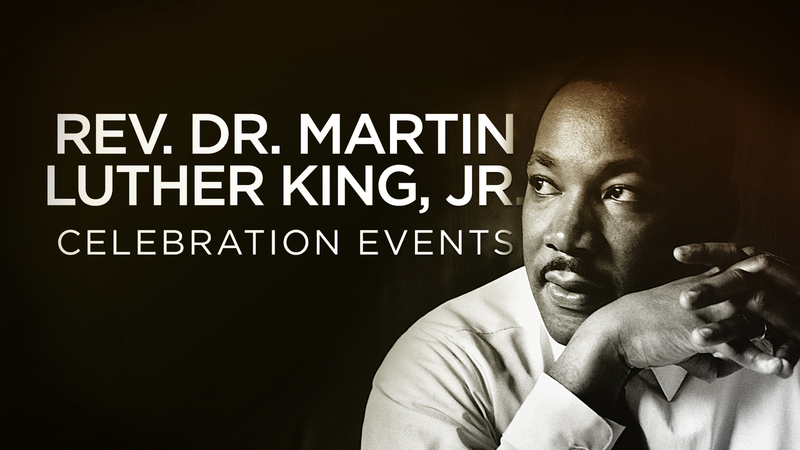 Several events will be held in Fresno and Clovis to celebrate and pay tribute to the life of the Reverand Dr. Martin Luther King, Jr. January 15th is a national holiday in honor of the late civil rights leader. The Rev. Dr. Martin Luther King, Jr. Unity Committee of Fresno is holding several events. This year's theme is Living The Dream For All, Every Day in Every Way. This list was provided by the committee. Events are open to the public. Location: Fresno County Courthouse Park (at MLK Bust on west side of park facing Van Ness), 1100 Van Ness Avenue Featuring Special Guest Speaker, Superintendent FUSD Bob Nelson along with FUSD students performing dance and song in honor of MLK. Location: Fresno City Hall, Council Chambers, 2600 Fresno Street. Award Recipients: Cal Johnson, Miguel Arias and Fresno Center for Non Violence, for outstanding service to the community. Location: Fresno City Hall, 2nd floor steps and lobby, 2600 Fresno Street. Location: Clovis Veterans Memorial Building, 808 4th Street, Clovis, CA. Speaker: Clovis City Council Member Vong Mouanoutoua, along with special singing from local community choirs. Tickets: $5.00 each in advance and canned food donation. Tables of 8 available at $40.00 with advanced reservation. Convention Center 848 M Street for Commemoration Program.